Why Not Have A Better Life? 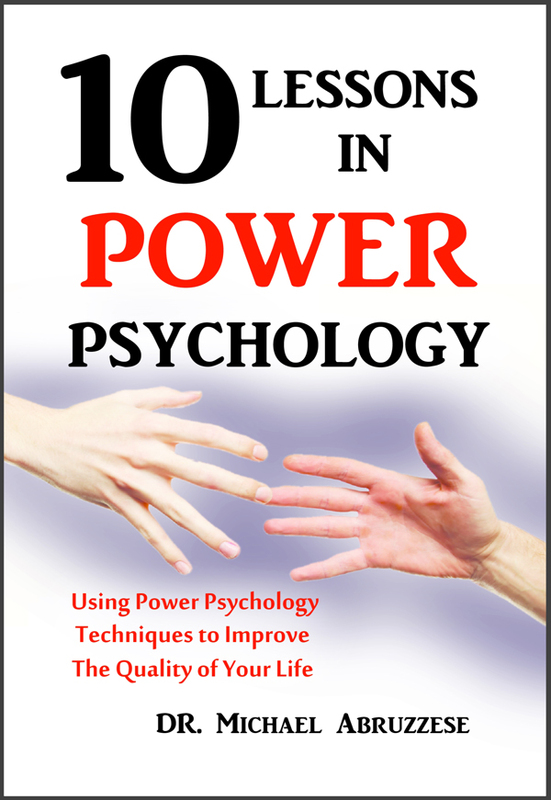 Presented in an easy, encouraging style and using practical, everyday language suitable for teenagers as well as adults, Ten Lessons In Power Psychology can provide the psychological information readers need to help overcome obstacles and exceed expectations using just four steps. Written by Michael Abruzzese, Ph.D., a past Clinical Instructor at Harvard Medical School and a clinical psychologist with over thirty years experience working with children, adolescents, families, schools and organizations, this book samples ten common aspects of life where you can use Power Psychology Techniques for Living (PTL) to improve everyday performance and achievement. You can read a chapter and put it into use in just a few minutes! • Improve the quality of your sleep. • Help your child improve their grades. • Turbocharge your exercise workouts. • Increase your reading speed. • Improve your work relationships. You can purchase the book online from Amazon or Smashwords in multiple eBook formats at http://www.smashwords.com/books/view/411140.